FOXBOROUGH, MA – Major Tom Ltd supplied a DiGiCo SD7 console for Ed Sheeran’s current world tour in support of his latest studio album ÷ (Divide). The tour has been running since mid-March 2017 and continues through Nov. 10, with three more shows slated for South Africa next March. Four-time Grammy Award winner Ed Sheeran learned his craft busking on the streets of London, Dublin, and elsewhere. As a result, he can, like few other performers, create an intimacy with an audience even in the massive stadiums he’s playing in on his current global ÷ (Divide) Tour, his third world trek, named for his latest studio album, and which has taken him from Turin, Italy in March 2017 to Cape Town, where the tour concludes in March 2019. 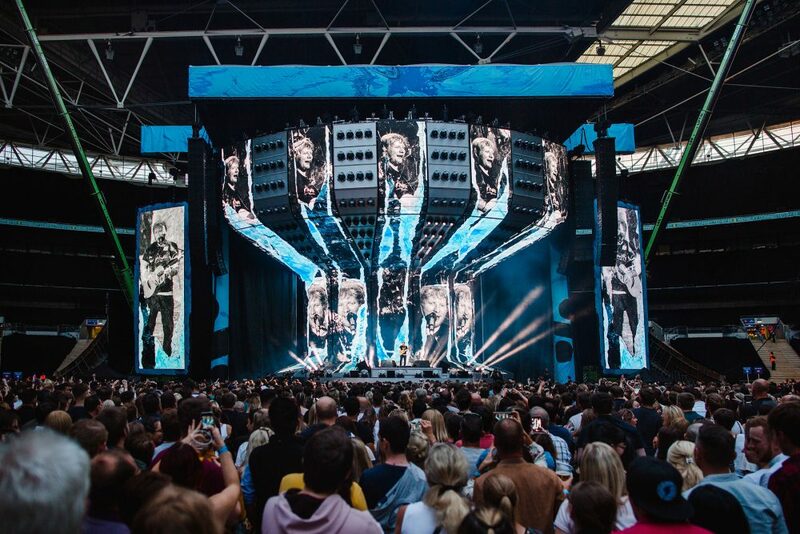 At every stop along the way, a DiGiCo SD7 console, supplied through the tour’s SR provider, UK-based Major Tom Ltd, is the link between Sheeran onstage and thousands of fans in huge venues, such as PNC Park in Pittsburgh, Rogers Centre in Toronto and the FNB Stadium in Johannesburg. The SD7 and its single SD-Rack are piloted by Chris Marsh, who’s been Sheeran’s production manager and FOH engineer since Sheeran’s + Tour in 2011. For a list of upcoming ÷ Tour dates, visit www.edsheeran.com. Major Tom Ltd can be found online at www.facebook.com/majortomaudio.